So this is the cover, all fancy and rendered up. 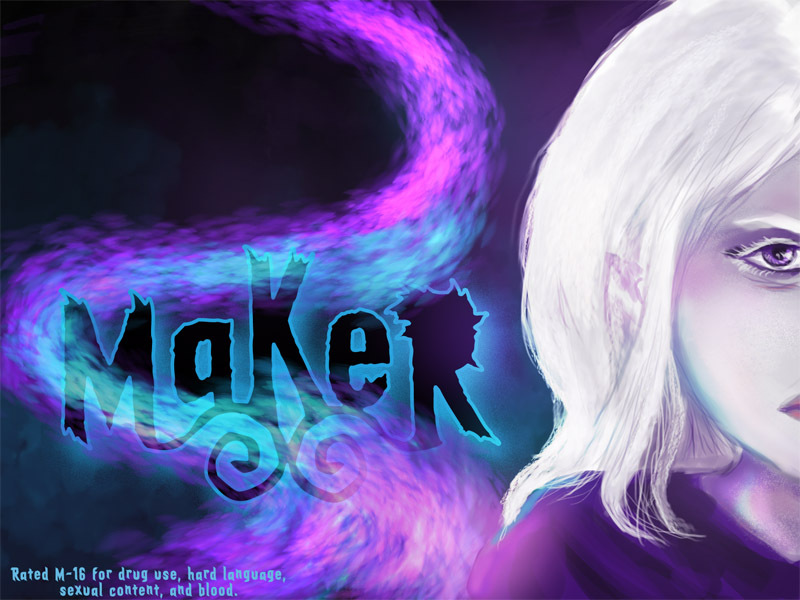 Now, Maker happens to be my 2012 ScriptFrenzy project so it'll be updated whenever I feel like it, with the almighty goal of finishing 100 pages in a month. (Due to the panel by panel format I am considering 3 panels to equal a page for the most part.) Art will very likely be rough and experimental and I appreciate your patience with possible update spamming and definite draft-one art and writing. But enjoy! Gotta make sure the layout looks all right!